The deformation rigs are composed of several different types of nodes. Additional ones such as the Kinematic Output node can be used to enhance the results. 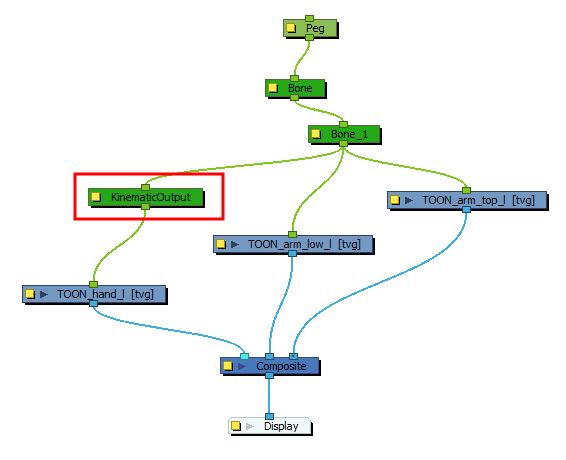 From the Insert menu, you can insert the following nodes. The Bone node is one of the main nodes used to build a deformation rig. Each Bone node consists of a bone and an articulation. You can chain Bone nodes to create a skeleton chain for your character. 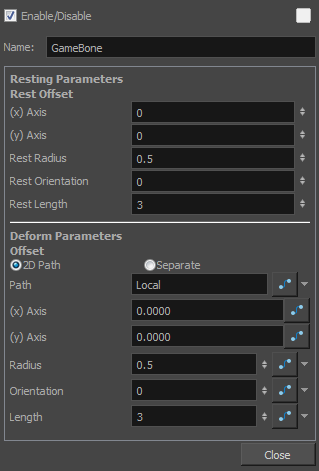 The Rigging tool can be used to create and connect those nodes automatically—see Adding Basic Deformation Chains. The Bone node is one of the main node used to build a deformation rig. Each Bone node consists of a bone and an articulation. Chaining Bone nodes will create a skeleton chain for your character. 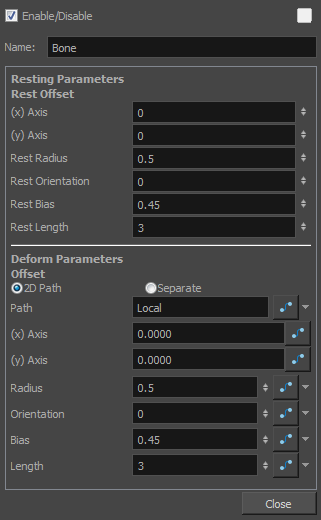 The Rigging tool can be used to create and connect those nodes automatically—see Adding Basic Deformation Chains.